Der Beitrag wurde am Montag, den 2. November 2009 um 23:23 Uhr veröffentlicht und wurde unter Mac, Programmieren abgelegt. Du kannst die Kommentare zu diesen Eintrag durch den RSS 2.0 Feed verfolgen. Du kannst einen Kommentar schreiben, oder einen Trackback auf deiner Seite einrichten. ERROR: Unable issuing sysctl command, errno = 2! I’m on Snow Leopard 10.6.2, Asus P5B Vista Edition, Asus IR and remote. have you checked that IRKeyboardEmu is installed correctly and loaded? You can check so by running „sudo kextstat | grep IRKeyboardEmu“ in a terminal. If there’s a line indicating the kernel extension is loaded, everything should be fine. If not, you could try loading the kernel extension manually using kextload. Got also problems with the install. AsusRemote works and receives commands form the Remote checked while running AsusRemote via interactive mode. But it looks that ther is no mapping from AsusRemote to IRKeyboardEmu. Which version of IRKeyboardEmu do you used? Started AsusRemote from CommandLine and keys are recognized and forwarded to theIRKeybooardEmu. Looks that id don’t work only if startet as daemon. Do you have any hints? it seems AsusRemote is not running with super-user priviledges. If you run „ps aux | grep AsusRemote“ in a terminal window, you should see a line starting with „root“. If this line is missing, AsusRemote is unable to forward the commands to IRKeyboardEmu. Is it possible that you missed changing the owner of /usr/local/bin/AsusRemote to root? Thank you for your response but this is not the solution/problem. Process is running as root user. Maybe the problem is the latency until the kernel extension is loaded. Fixed the problem I had with a shellscript that starts in the background via a Apple Script Application Bundle as a User Startup Item. If I buy the IR receiver will it work with snow leopard and a normal apple remote? I don’t need the remote, I have the Apple one, just not the receiver. 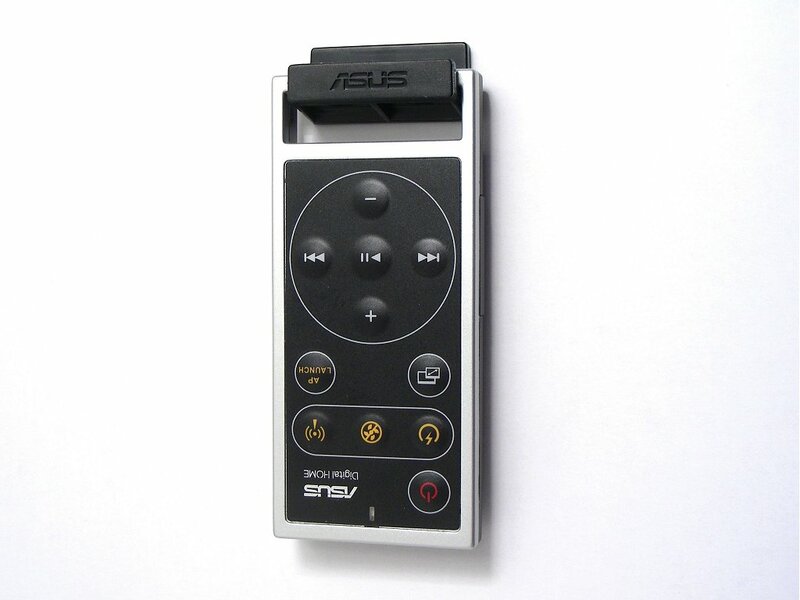 the receiver is listening only for commands of the Asus remote. So I don’t think it is possible to use it with a normal Apple Remote. Not yet Snow Leopad 64bit. thx to your work, my DH remote works fine on iTunes and FrontRow. but it doesnt work on Plex. is there any way to make it work on Plex or other apps? it’s nice to hear that it works for you. About Plex: I’m sure there’s a way to get the remote working with it, either by directy controlling Plex from my daemon or using Plex‘ Apple Remote support. The latter way might not work as emulating Apple Remote commands using IRKeyboardEmu is quite prone to errors. thank you for the anwer. unfortuantely, the later way doesn’t work here. so could you please explain more detail about ‚directly controlling Plex from my daemon‘? i’m sorry but i’m a totally newbie to mac stuff. I could do some quick changes to the code to let it emulate key presses, if you tell me, which keys should be pressed on the keyboard for each button on the remote. I really appreciate for your kindness! Here you go: AsusRemote-v0.2.zip. I changed the code so it sends key presses for up/down/left/right and return. However I couldn’t get the daemon to launch Plex with a button on the remote. By default, the program will work as before. You have to launch it with the parameter „-plex“. It will then send keystrokes to the active window. To run it using launchd, add the parameter „-plex“ to the program arguments in the plist. Warning: I can’t guarantee that it works. I even couldn’t test it as I don’t have access to my Asus remote at the moment. wow Tino, you are my savior! it works perfectly fine with -plex option except for ‚menu‘ button doesn’t act ‚esc‘ key. could you please change the code again for this? for me, it’s much better to use DH remote with -plex option. I’m happy that it works! 🙂 The „maximize“ button (the one next to AP LAUNCH) should send esc now. Same link as above. it works exactly as i wanted now. Thank you very much for your work. Is great on Mac OS X Snow Leopard 10.6 on a P5W DH Deluxe. I think is time for AsusRemote-v0.3 and update to work in Boxee! I have the same problem with Alex but i fixed. I tried many ways such lirc etc to work my hackintosh with ir controll without luck! Your app work!! 10 stars app, keep the good work! Is it possible to write an interface for it so that the key presses emulated can be defined by the user? I’m glad you like it. Of course it would be possible to read in an existing configuration from a plist file and to create a small tool / system settings plugin to modify it. Unfortunately, I don’t have the time for this rather big rewrite at the moment, but maybe somebody else has. I just created a repository at Github for collaboration. This shortcutrecorder control might be very useful then.